The Church of England has its origins in the mission of St Augustine in 597 AD. 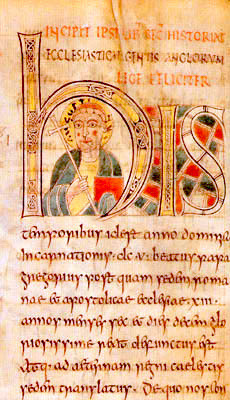 He was sent by Pope Gregory to bring the Christian faith to the Anglo-Saxons. There was already an earlier Celtic church in Britain – its bishops are mentioned attending a council in 314 AD – but it had been seriously weakened by the invasion of the pagan Anglo-Saxons. Augustine re-established the church in England. The 16th century Reformation saw many changes, both good and bad, in the church. The Eucharist was translated into English. Priests were once more allowed to marry. There was a rediscovery of the Bible. But sadly the church was again divided. Rome and Canterbury have been out of communion ever since. Nevertheless, the Church of England retained the same catholic ministry and sacraments. The Church of England remained Apostolic with a continuous link through history to the time of the Apostles. Our Scriptures are those of the universal church. Our faith is that of the early Ecumenical Councils. Our bishops are in the unbroken succession back to the time of the Apostles and the church is ‘sent’ by Christ to transform the world with God’s love. Hence Justin Welby is the 105th Archbishop, counting from Augustine. Jonathan, our bishop, is deemed the 98th Bishop of Lichfield, counting from St Chad, not from the reformation. The Church of England is Catholic: in that it is open to all, regardless of nationality, class, gender, age or orientation. The Church of England is therefore both Catholic and Reformed. Yet, if we look to our roots to find nourishment, we also look to the future to be fruitful in transforming our world today. This faith the church “is called upon to proclaim afresh in each generation”. Find out more about what the church believes with Gospel Imprint leaflets here. Come along to your local church if you want to get involved.